Bainbridge Island's fourth annual Bainbridge Prepares event kicks off later this month. Plan your time now so you don't miss a thing! Enjoy an evening of scientific discovery by watching The Geological Formation of Bainbridge Island. There will be free screenings at 6 p.m. and 7 p.m., however seating is limited so reserve your tickets now! This is the last year this film will be shown, so if you've previously missed viewing this popular film, be sure to reserve your spot soon. We'll be giving away a 3-day emergency backpack at each screening. PSE is proud to once again sponsor the Preparedness Days film night. 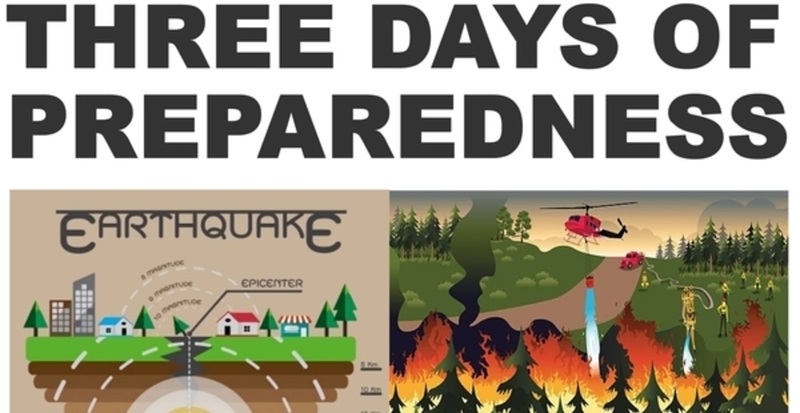 Join us at City Hall between 10 a.m. and 2 p.m. to participate in workshops and learn what you can do to prepare for emergencies at home, work, and on your commute. Ride the "Big Shaker" to experience an earthquake simulation. Day three gives you access to Bainbridge Island's system of neighborhood gathering sites for emergencies. Put your knowledge into practice and join your community to take the tour!